We can be super choosy. With so many people selling us tools and methods and apps that (they say) we absolutely MUST have for our business or our life, let’s use a solid criterion for selecting. If their proof of results consists of “it worked for me so it will work for you”, then hide your wallet. If the proof is based on independent empirical data and is couched in the solid research of others, then it may be a good choice. • There is real “medicine” out there in the form of psychological principles that have been tested and demonstrated over decades. Take the medicine because it works. • There are far more people selling banana-jalapeno-cinnamon milkshakes because it worked for their particular case one time so they mistakenly think it will work for other people in other situations. Huge mistake! • Even ideas that are totally bogus will work sometimes just by coincidence. So when a tool or gizmo or method doesn’t work for you, don’t waste time re-studying the method and thinking about what YOU did wrong. If you were sold on “it works for me it will work for you” then it’s not you – it’s the tool that doesn’t work! Now I ask you, what if it worked for your neighbor and three of his buddies? Now you have testimonials that the milkshake worked. I imagine most of you will still take the medicine but I am amazed how many people will drink the milkshake when they see it online. They’re told about these methods and techniques and platforms that will bring in more customers and make them lose weight and solve all their problems. The whole basis of it is “It worked for me, it’s going to work for you”. What I’m telling you is that when you hear that, keep an eye on your wallet because you don’t want the milkshake, you want the medicine. So many of these techniques and methods exist out there and they’re firmly rooted in psychology. They’re rooted in the research that works. This is frustrating to me in a couple of levels because there are some out there that are trying to sell you techniques and methods and platforms that simply won’t do the research. They simply will just say “Hey it worked for me, it’s going to work for you”. That’s the whole basis; and they’ll say “Hey I experimented with this”. Well, it might have worked for them. That is, even stuff that does not work, works –3 or 4% of the time. And how can that be? Well, imagine, you drank the Jalapeno Cinnamon milkshake and you started feeling better. Well, maybe you were starting to feel better anyway and the timing was just right. You took milkshakes and started to feel better or maybe you drank too many of those milkshakes, it filled you up and you weren’t hungry anymore. And there was something else you were eating that was causing the problem and because you were full, you did not eat it. I mean there’s many ways that something that totally cannot work, work for some people and this is where the testimonials will come from. Many people sell you products and services. 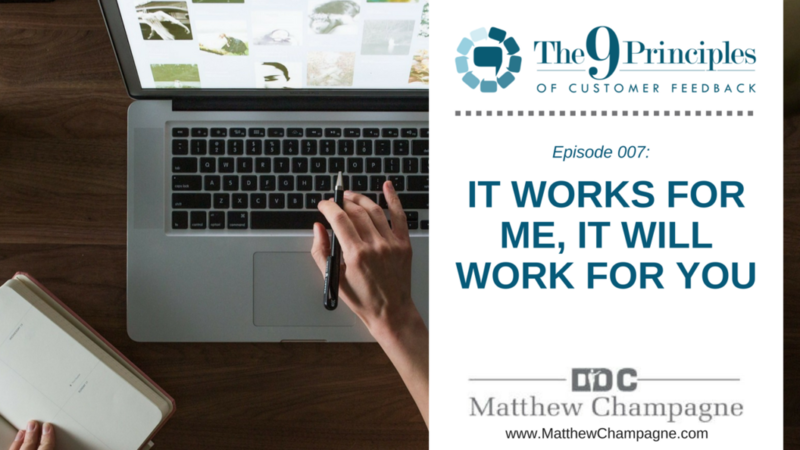 It might work for 3% of the people just by chance –just by randomness, and those people will write their testimonials and the rest of us, 97% will say “How come this didn’t work for me? I guess I didn’t follow the steps carefully enough”. It’s so frustrating to watch this knowing that these techniques do not work and they don’t work for your friend or your colleague; and they’re like “Wow, I must have missed something. Maybe I should reread the lessons. Maybe I should follow the steps more carefully.” It doesn’t matter. It won’t work. It worked by chance. It doesn’t have anything to do with you. It had to do with a platform, a method, an idea that is not firmly rooted in anything. It’s sad because the research is out there and a lot of folks will borrow some from psychology. I think the most popular thing you’ll see folks borrow from psychology is what we might think as the scary stuff or the negative stuff. They borrow it form compliance, from conformity studies, obedience studies, and influence. They’ll borrow from psychology those things that scare people into buying --the sense of urgency, the sense of scarcity. Sometimes, folks will borrow from psychology but in my mind, they borrow the scary stuff. It does work, that’s why it’s borrowed; but there’s so much more from psychology that could be borrowed that works –decades and decades of research. What I’m saying is take the medicine. Don’t listen to your neighbor who says “It works for me, it will work for you”. There is so much out there. I myself teach The 9 Principles of Customer Feedback that’s based on not only my own research, but those of my colleagues and many others that went before me. For my own part, I have written and created about 7,000 surveys and gathered about 6 million data points, which I think is somewhat significant. That actually pales in comparison to the massive amount of data and results out there. There’s so much psychology out there that works, you just need to tap into it; and when you apply that, you’ll get that kind of engagement and retention of customers that you’re looking for. My challenge for you this week is look for experts and gurus who have the data and the research and the findings to back it up; that they’re not just saying “Well, here’s my evidence: it worked for me and my three buddies, it will work for you”, but they can point to all those that came before them. That this is built in something solid in psychology. Psychology is the study of human behavior. Why people buy, why people do what they do, why they say the things that they say. There’s lots of research out there. You can find folks who can give you results that are firmly rooted in the research. If you’re going to spend your time and your money on these practices and templates and techniques, they have to be as solid as that medicine your doctor gives you. Subscribe to the show: Go to the Apple podcast directory. Be sure to rate the show and give a review. Include your name and website and I will promote it on an upcoming show!